As you work your way through the mortgage origination process, take a moment to consider some important points about due diligence. Although due diligence is an essential component of any commercial or residential mortgage transaction, many inexperienced players tend to minimize or ignore the process. Even veterans of the property market tend to de-emphasize due diligence and focus on negotiating fair purchase prices or expediting the closing process. While a successful due diligence check might not have the appeal of an expertly executed, carefully negotiated closing, it's liable to save buyers and lenders time, money and stress. As you work your way through the mortgage origination process, take a moment to consider some important points about due diligence. 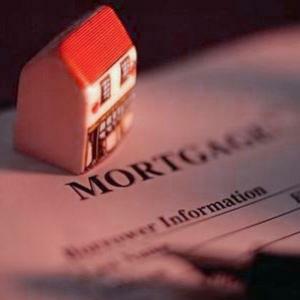 This process typically occurs after the initial negotiation of a mortgage's terms. A due diligence review is designed to affirm the various financial documents and statements that a borrower provides to a lender. The underwriters who conduct these reviews must thoroughly investigate the sources of this information and identify any discrepancies or "red flags" that might be present in the data. They must also confirm that the borrower is in a legal position to enter into a mortgage contract and identify potential encumbrances or title-related imperfections that could complicate the transfer of the property in question. To ensure the independence and accuracy of the process, most underwriting organizations adhere to internal quality-control protocols that cut down on errors and provide clients with additional confidence. The due diligence process aims to confirm the identity of the borrower and determine his or her "suitability." This involves a double-check of the identity-establishing documents that the borrower provides, a look at any previous real estate transactions that he or she engaged in and a thorough check of the borrower's credit history and previous financial dealings. Commercial underwriters may also assess the borrower's experience with property management and speak with local-market insiders to assess his or her reputation within the commercial real estate community. The lender often initiates the due diligence process to make sure the borrower is qualified, but the loan applicant should make sure that all relevant judgment, bankruptcy and lien investigations are carried out in his or her name or in the names of guarantors or property co-owners. The searches must also be performed in the right jurisdictions. Underwriters must also assess the quality of the property and the strength of its title. This requires a thorough title review to determine whether any liens or outstanding disputes affect the property. If they're left unresolved, these problems can complicate the closing process or create post-transaction headaches for buyers, lenders and tenants alike. If a mortgage loan is secured by collateral or cosigners, a due diligence review must also determine whether these added pieces of security are legitimate and sufficient. During the title review process, the legal summarization of the property that is provided on the survey should match the write-up in the title commitment. If the summaries are not identical, the differences should be noted and explained. Due diligence is an unglamorous but useful tool that saves plenty of grief during the mortgage origination and closing processes. It's also useful for investors and secondary-market players who issue or purchase tranches of mortgages as investment vehicles. From the backyards of modest private residences to the halls of venerable commercial banking institutions, anyone who participates in the housing market must appreciate the power and convenience of due diligence.